They were born into a connected family (connecting is very important, but they’re easily burned if you’re a jerk). You all know how much I don’t care for conventional thinking, especially when there’s nothing to back it up. And the above list is just that: easy explanations based on faulty logic and predictable platitudes. Just like the bottom 20 percent of sales people, the top 20 percent understand that we don’t have more than 24 hours in a day. They also understand something that is so trite, but often overlooked: you cannot close uninterested and unqualified prospects who do not need or want your service, product etc. This is true even if you’re charming, good looking, well connected etc etc. So, what do the top 20 do differently? 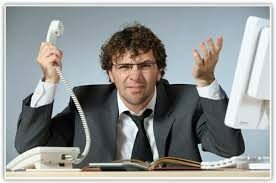 They spend more time dis-qualifying leads than frantically calling anyone and everyone hoping that someone says okay to a meeting (www.MrInsideSales.com). Top performers are protective about who goes into their pipeline. Not everyone makes the cut. This discriminating approach makes a top performer’s pipeline look more like an inverted funnel with fewer qualified and vetted leads going in one end and a higher number of those leads closing on the other. Compare this with the pipeline of the bottom 80 (i.e. the typical way we think of sales and leads): a cylinder that crams everyone and anyone in, but only leads to pipe dreams. Warning: It’s Tough to Disqualify! Being critical of who to work with and the willingness to nix a lead is tough because you have to ask a lot of questions. To avoid coming off as abrasive and nosey, you must have genuine interest in helping the person on the phone. And to help them, you have to understand what they need, the resources they have to solve the need, how long it’ll take to make a decision and if they’re facing any sort of time pressure. Who is being affected by X PROBLEM? If you don’t solve this problem, what will happen? Who’s involved in making the final decision? What’s the company’s process to making the decision? Has the lead sought out any solutions to the X PROBLEM? Have they contacted other companies as part of the solution process? What other solutions would they be considering considering? What’s the budget – both with respect to “hard dollars” and human resources? Who will benefit from solving the X PROBLEM (e.g. job promotion??)? What are some reasons they wouldn’t buy? If you’re anxious to ask these questions, start be being honest. Tell the prospect that you’re going to ask a few questions to determine whether or not you’re the right solution for them or if there’s someone or something that could better serve their needs. Your invasiveness is simply the best way to avoid wasting their time and determining if you can help them. I’ve asked the questions, now what? If they are vague, they’re not interested and the problem isn’t a priority. If you can’t get hold of the decision maker or they’re taking forever to respond, disqualify them. The prospect isn’t serious and may just be shopping. If the prospect subsequently follows up with several dinner, lunch and cocktail requests to “discuss” your offering, disqualify them. They’re leading you on and taking you for an expensive ride. Ladies, you’re especially vulnerable to this as some men are interested in offerings wholly unrelated to the product or service you’re selling. If you feel bad turning down the prospect, don’t. Because the prospect is not interested in “hiring” – he’s only interested what he can get for free. If the prospect’s decision criteria automatically bars you, first determine if the criteria is a preference or a requirement. Then present the benefits to making an exception. Finally, if they still say “NO” get over it and move on. For example, if a company’s mandate is that all products purchased by the company must be Canadian made and all of your products are made in China, you might want to move on. Of course, give up only if you’ve first asked about the flexibility of the requirement and explained the benefits of buying from China (e.g. cheaper, faster etc). The takeaway is simple: work to disqualify people, not qualify. If you’re not careful you’ll be too distracted by false leads to help those who actually need and want your services. To put it another way: would you intentionally waste precious time and resources on an outcome that will make you lose more time and resources? Probably not. So learn the art of disqualification. And, when in doubt, your business philosophy should be similar to your (okay, my) dating philosophy: it’s better to be patient and find the appropriate partner, rather than squander your best years and dollars on loads of garbage. Are You a Victim of Sales Seepage? Picking up the phone to make a cold call is terrifying. You put yourself through that torture and, finally, after hearing “no!” numerous times, you get interest. This potential client is excited and, a week later, you follow up with a quick email and a call. A month or two goes by without a word from the potential client. You decide to call him back only to learn that you’ve become the victim of the relentless opportunity-killer: Mr. Sales Seepage. 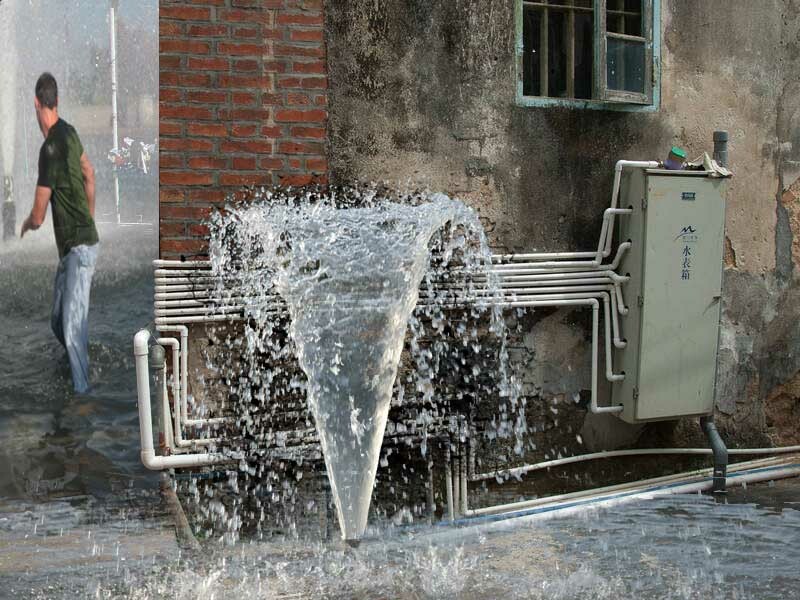 Sales seepage happens when a qualified and interested prospect seeps out of your sales pipeline …. and is probably never to be seen again. Why? They forgot about you and you didn’t maintain the initial belief that you were the best person to do the job. The excuse for not contacting the qualified prospect is that you don’t want to spam him with useless emails and “salesly” voice-messages. While I agree with this concern, you’ve failed to safeguard yourself against the threat of Mr. Sales Seepage.The way to protect yourself from sales seepage is to nurture your network in a meaningful, consistent and thoughtful way. This means NO generic emails, NO sales emails or calls and NO typical content that is sent by people in your industry. For example, agents send out information about the market that you know was slapped together by an email program or someone other than the agent. This is boring, insincere and makes you look like an amateur.Don’t know how to stay in touch? Read below for some tips I found on Branding Universe. I’ve modified all of them but for numbers 12 to 23 as they were rich enough without my two cents. Create a monthly newsletter or blog that is interesting, short and not something everyone in your industry is sending. The critical part of an effective blog is to be consistent. If you tell everyone they’ll get the article the first of the month at 9 am. It better be sent to them the first of the month at 9 am. Ask prime prospects or current clients if you can quote them or interview them for one of your newsletters. Set up Google alerts for bizarre information on your industry and send out monthly “Surprising Things Happening in [YOUR INDUSTRY HERE]?” Remember – consistency and unique is critical. Establish a community telephone call-in once a month. Speak on some relevant topic and open up the line for questions and answers. Keep a calendar of birthdays, anniversaries, and special occasions. Pre-schedule cards through one of the online services, like Paperless Post. Create a postcard mailing for your entire list using a service like www.postcardmania.com. Never include a pitch. This is a greeting card that you should send out for birthdays and during Thanksgiving. Yes, Thanksgiving and NOT the winter holidays. Why? Because EVERYONE is sending holiday greetings and yours will get lost in the shuffle. Celebrate special events for prospects and customers like a promotion, new job, new assignment, or new website, and send out a postcard or email. 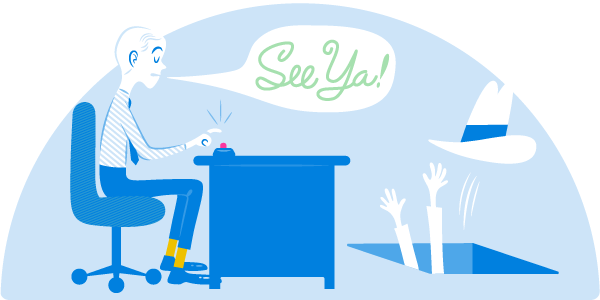 Send out a lighthearted “tip” – kinda like the one I’m sending -customized for your network. Send a “thank you for your business” note and remembrance to clients at least once a year. Focus on your top 10 people in your network and drop by with a coffee, send a “How are you?” or “Just thinking of you” note every two weeks. If your client runs a restaurant, clothing shoppe or otherwise, pay them a visit. Buy something or eat something. Set your Google alerts about your prospect’s company or about your prospect’s industry. When you learn of news that is relevant to these people, send an “I noticed …” or “thought you might find this interesting…” email. Comment on your clients’ and prospects’ blog. Ask them to comment on yours. Ask clients and prospects to speak or be a panel member at an event you think would be right for them. Invite them to a networking event where they might enjoy meeting the people. Send surveys and industry information, links to podcasts or videos, and links to websites that offer free information that would help your network with their businesses. Create your own industry survey using a service like www.surveymonkey.com. Send it to your entire network and publish the results. Write a testimonial about them or their product or service and submit it to them without being asked. One cautionary note: you must be sincere and talk about an actual experience. Write a recommendation for them on a business social network such as LinkedIn or Twitter. Invite them to lunch or breakfast every six months. Learn what causes or charities they support and make a donation (even if a small one) instead of a Christmas gift. Follow targeted contacts on Twitter and re-tweet their tweets. How Often should You Nurture Your Network? Various sales studies confirm that a contact will not remember, trust or buy from you until they’ve heard from you – in a meaningful way – at least five times. Great. But, this doesn’t tell us how often we should contact a prospect in a week, month or year. While some sales experts say that your frequency should be 7 times in an 18 month period, the most successful sales people I’ve interviewed do so at least once a month – or more. The most effective sales people are successful not because they’re better looking or smarter. They’re successful because they put the effort in to make meaningful content. They provide true value every time they reach out, while keeping themselves top of mind of potential clients and while reinforcing the belief that they’re the expert in their field. Confidence is often confused with having a massive ego. Women (exceptions notwithstanding) typically lack the same level of ego as men. Studies too long to list suggest that this lack of ego impedes us women’s ability to rise to the top, negotiate well and get the biggest bang for their buck. Even if we have the confidence, however, there’s still an assumption that we aren’t assertive enough. In fact, a law school friend of mine blatantly stated that he’d never hire a woman to negotiate – “they’d probably start crying. Plus, women typically just don’t come off as confident”. This conversation occurred in 2010. He still regrets saying that to me. True, men ask for more money than women. They’re also more inclined than women to apply for jobs, despite not having the credentials. The outcome of this assertiveness is that men fare much better than women when it comes to salaries, bonuses and climb up the corporate ladder…or are they? While men are better than women when it comes to standing up for themselves, the same isn’t true when they’re negotiating on someone else’s behalf. Women are just as good. One growing theory is that it’s ego, not gender, that really sets apart the wheat from the chaff. The biographies of numerous contemporary greats – such as Elon Musk and Steve Jobs – suggests that the bigger the ego the better. Ego fuels passion, drive and ability to live off of apples (Jobs) or no sleep (Musk) in order to achieve greatness. Peeling back the layers and comparing these more recent “greats” with the everlasting “greats” of our not so distant path – such as Katharine Graham, Bill Belichick, and Eleanor Roosevelt – reveals that being a jerk and having a big ego is not an asset for success. It’s an impediment. Musk and Jobs succeeded because of their drive and brilliance, despite their egos. They were kicked out of their own companies and faced tremendous disasters because they believed they knew better than everyone else. They had to fight twice as hard to succeed simply because of their egos blinded them to necessary realities. Imagine what they could have achieved by not being so arrogant so as to get them fired from their own companies! The Ego is the Enemy draws on a vast array of stories and examples, from literature to philosophy to history. We meet fascinating figures like Howard Hughes, Katharine Graham, Bill Belichick, and Eleanor Roosevelt, all of whom reached the highest levels of power and success by conquering their own egos. Their strategies and tactics can be ours as well. But why should we bother fighting ego in an era that glorifies social media, reality TV, and other forms of shameless self-promotion? Holiday believes that “you will be less invested in the story you tell about your own specialness, and as a result, you will be liberated to accomplish the world-changing work you’ve set out to achieve”. This is particularly true during negotiations. The more arrogant, the better. Have you ever fed an ego and watch it devour the host’s ability to reason? If you’ve yet to witness the miraculous nature of ego, then try this tactic when negotiating. We’ve all been there – your counterpart finally agrees to your position. You think negotiations when they say “so, all I now need is my boss’s approval”. Ugh! You’ve wasted your time because your smart counterpart just pulled the “appeal to higher authority” tactic. The reality is that your counterpart never intended to agree to that decision. He pretended to “given in” or agree to your point so that you’d reciprocate his cooperative behaviour by conceding to some of his points. In a seemingly legitimate way, however, he’s now pulled back on his promise by hiding behind his boss. 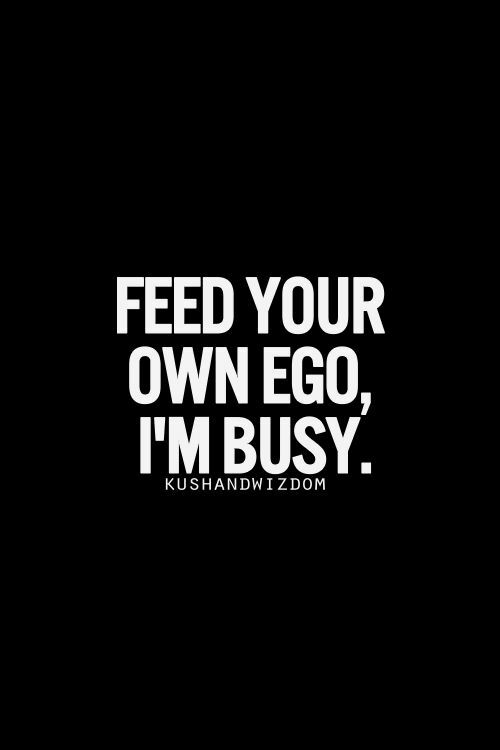 Time for you to pull out the “ego tactic”. This “appeal to higher authority” tactic (a great tactic, by the way, that you can use if you’re not sure as to how to respond to a request or when you feel pressured to make a decision) can be countered by appealing to his ego. Simply say, “but you have such a high position and you clearly know the needs of (X). I’m sure you have the authority to make this small decision, don’t you?” You may have to poke him a few more times and say, “you’re clearly a reasonable person and you’ve convinced me to make many concessions I never thought I’d make. Obviously you have the power to commit to getting your boss to agree, don’t you?” And, just like a peacock, watch your counterpart perk up and show his feathers. For those who experience self-doubt, don’t fret. It’s clear in history and during negotiations – ego is an impediment to success and it’s a virtue not to have one. Sales people are people too (shock!). I help train them and – believe it or not – they are good people who are just like you. They don’t want to be sold and they don’t like people interrupting their day with calls about a product or service they neither need nor want. Yet, as soon as the salesperson pick up that phone, he forgets these sentiments. He forgets what it’s like to be the recipient of that call. And the salesperson goes into the stereotypical sales role: me, me, me, me and me. Oh, and me some more! Why does this approach fail? Because besides your mom and maybe your dog (but, definitely not your cat): NO ONE CARES ABOUT YOU. Be prepared. This goes beyond just understanding your product, the market or the CEO’s name. Know everything about your client. If they’re struggling to find a new a new location, have a notoriously horrid landlord or are in growth or loss mode, know it. Understand their problems. If you’re going to interrupt their thoughts about themselves, you better have a solution for them. Be funny or interesting. We all watch weird videos on YouTube to be entertained. If you make your call entertaining, you’re in. Funny and interesting openings are your hook. Be honest. Opening up to people will bring down their guard and they may be more open to reciprocating. Give and take is a social norm – especially if you’re being vulnerable. For example, tell them that you hate making these calls, just as much as they like getting them, so you promise to make this as painless as possible and worth their time. Or, that you were once in their position and that’s why you started your company – to help people achieve [insert outcome of using your product/service]. Be sharp. No one wants to listen to someone who is, frankly … zzzzzzzzz …. or has no product knowledge. Talk quickly during the opening of the call and then slow down for the details of the offering. Be scarce. Have something they want or need and given reasons to act now, such as a hot market with signs of slowing or a one-time offer. Be enthusiastic and SMILE. The WORST is getting a call from someone who sounds distracted, bored or angry. When you’re talking in a monotone voice, it comes across as disinterested and rude. No one is going to put up with that. We like nice people and we’re much more open and forgiving with a nice person than a rude person. Especially if they’re interrupting our thoughts about us. Be other-oriented and curious. The call is not about what you want, your sales quota or your service. It’s about them. This means you should be doing very little talking. You should be doing a lot of listening and asking questions. Ask about pain points and follow up with “tell me more about that”. You should also, in most cases, a) NEVER “SELL”, b) NEVER PUSH YOUR PRODUCT and c) NEVER ASK THE TYPICAL SALES QUESTIONS, such as are you looking to sell your house? Are you looking to buy a car and spent thousands on this random person who just called? The answer will be – NO! They don’t trust you and you come off sooooo salesy – ew! Be generous. Ask them if you could shoot over a quick email with some information that is RELEVANT to them. State what is and why they can’t just find it on the net (e.g. exclusive report). You’re sending this for free and when you do and DO NOT SELL ANYTHING in your email. If they need something, they will ask. The first interactions are not to sell. Rather, you’re there to prove you’re valuable. The above tips are just ice breakers and there’s no guarantee that they’ll love you. Nonetheless, you’ll make a much better first impression which will ease your nerves during the call and lose the “sleazy salesperson” stigma. The take home lesson is that it’s not about you. It’s about them, so focus all of your attention on who is on the other line and not your nerves.